These are for both straight and curved pieces of jewelry (barbells or labrets) made by NEOMETAL only. Due to the anodization process, the colors can vary slightly from batch to batch. 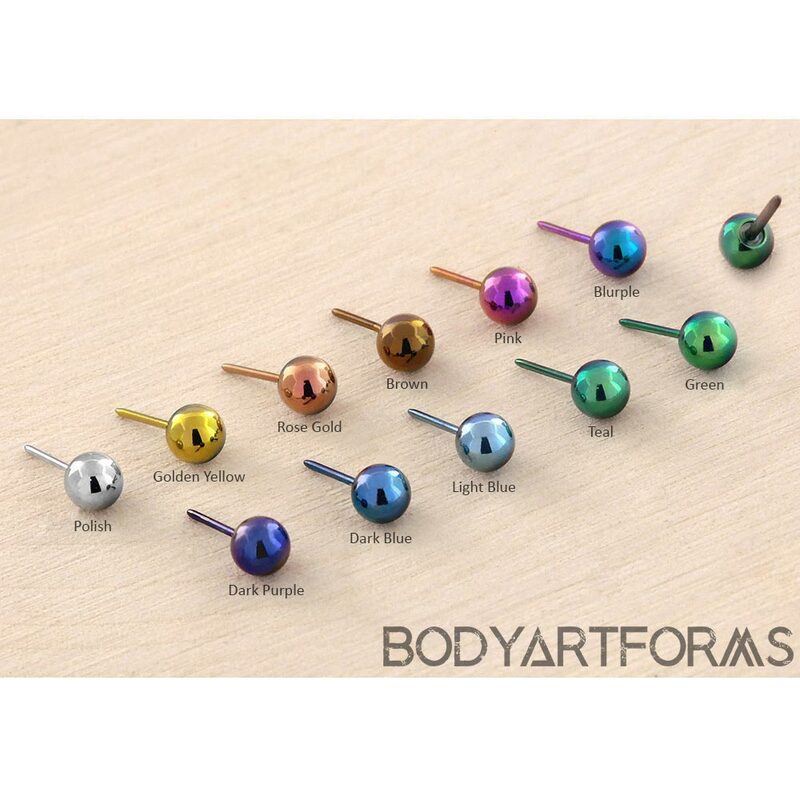 They can connect to any of the labret posts in this listing, but sizes smaller than 2.5mm are not recommended for 16g and 14g shafts.